A main priority in the design and operation of modern engines is dealing with exhaust emissions. 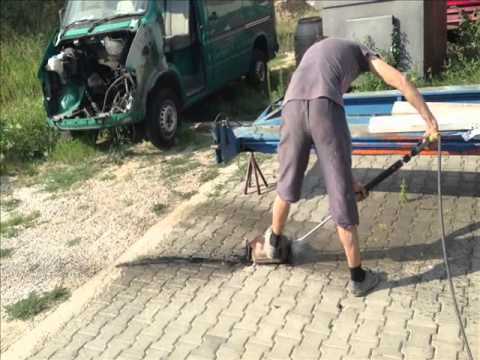 For gasoline engines the problem is solved a long time ago. The catalysts they use are effective and inexpensive, but the diesel engines are slightly more complicated. That is why the manufacturers of diesel engines developed so called “Particulate filter” – DPF (diesel particulate filter) or FAP (filtre à particules). Diesel particulate filter, known as DPF or FAP filter is installed in most diesel cars and its function is to secrete diesel soot from exhaust gases as they pass through it. DPF / FAP filter is responsible for reducing emissions of particles composed of hydrocarbons and carbon, which should not fall into the atmosphere. With the passed mileage the filter gets clogged of carbon soot. There is a layer of precious metals in the filter, which allows more precise cleaning of the exhaust gases and also allows regeneration. 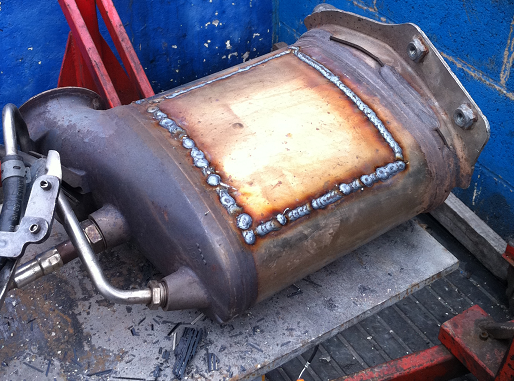 Regeneration is a process in which soot is removed gathered in itself DPF filter and reduces the pressure therein. Why does the DPF clog? The regeneration process is prepared by increasing the temperature therein, in order to harmful particles will burn more efficiently. Process control usually from the computer of the car. There are three types of regeneration – active, passive and forced regeneration. The problem comes from the low-speed running of the engine. Without load, exhaust inlet filter catalyst has much lower temperature required to burn soot unattended. They accumulate inside the filter and this leads to pollution to vehicle problems and the environment. There are three ways are used to clean the filter of accumulated unburned soot – active, passive and forced regeneration. Active regeneration In active regeneration filter is heated in urban cinditions from 350 degrees to 500 degrees, and thus deposited soot is slowly oxidized to CO2, while in passive regeneration vehicle is moving at higher speeds (usually about 3000RPM’s) In suburban conditions. Thus, the exhaust gases are heated to about 600-650 degrees as a result of which the particles on the filter are burned more completely and escaping through the exhaust pipe. Forced regeneration is done by computer, to include reclamation and injected more fuel to develop more temperature inside the DPF and will burn out carbon deposits. A disadvantage of diesel engines is that they are effective mainly in the low speed and are often driven in the range 800-1800 rpm, which allows the accumulation of soot in the Diesel Particulate Filter. The problem is that in normal engine operation at low revs it jammed and there arise many problems for the car and for the environment too. Как и кога се случва ECU-то на двигателя да включи режим на регенерация? 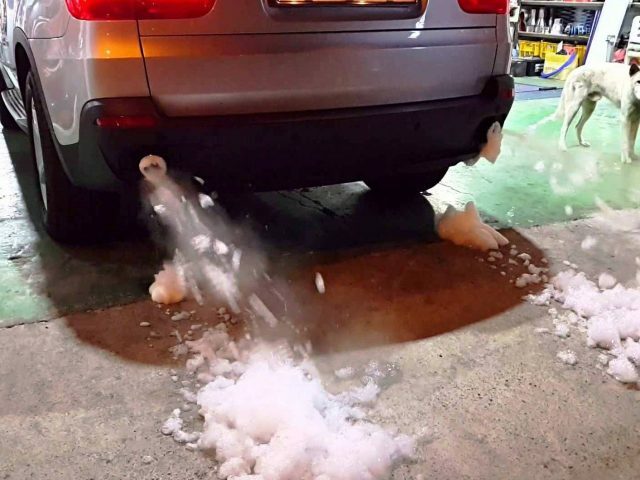 This is impossible if the car stays in the city traffic – the cylinders join more air with less fuel and the temperature is not exposed too high enough. For effective operation of the filter a constant speed of 60-80 Km (and higher) should be maintained. This is unachievable in city driving due to speed limits, and thus self-cleaning filter does not happen and it gradually clogged with unburned soot. How and when it happens decides the control unit of the engine based on readings from sensors pressure before and after the DPF filter and several other sensors to monitor temperature composition of the fuel mixture and others at fixed locations engine exhaust system. So, in conclusion we can say that the condition of all systems and sensors ensure the submission of accurate information to the control unit of the engine. Problem with the Particulate filter usually signals Check Engine lights or DPF light on the dashboard of vehicles. The first thing that can be done is to sprout car at least 15 – 20 minutes somewhere along the highway outside the city of more than 70-80 km / h. speed to activate the self-cleaning mode. If there is no effect, you will need to go to an authorized service center for diagnostics and troubleshooting. 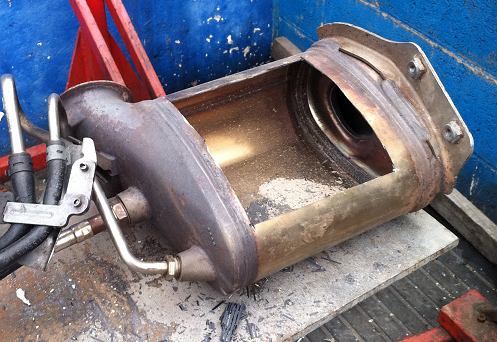 There is another way to eliminate this problem – removing the diesel particulate filter. But physical removal of the filter is related to the reprogramming the software of the vehicle, which can lead to other problems. We offer Carbon cleaning solution help you in just 60 minutes procedure to clean your DPF without any disassembling! Carbon cleaning procedure costing significantly less than the removal or replacement with new one. This can be done preventively every 15 000 km.